Minimal drop earrings with a tiny diamond tag. 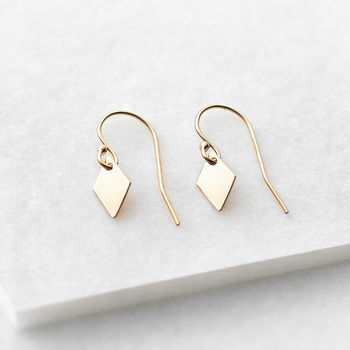 Tiny 14k gold fill or sterling silver diamond tags adorn these sweet and minimal drop earrings. 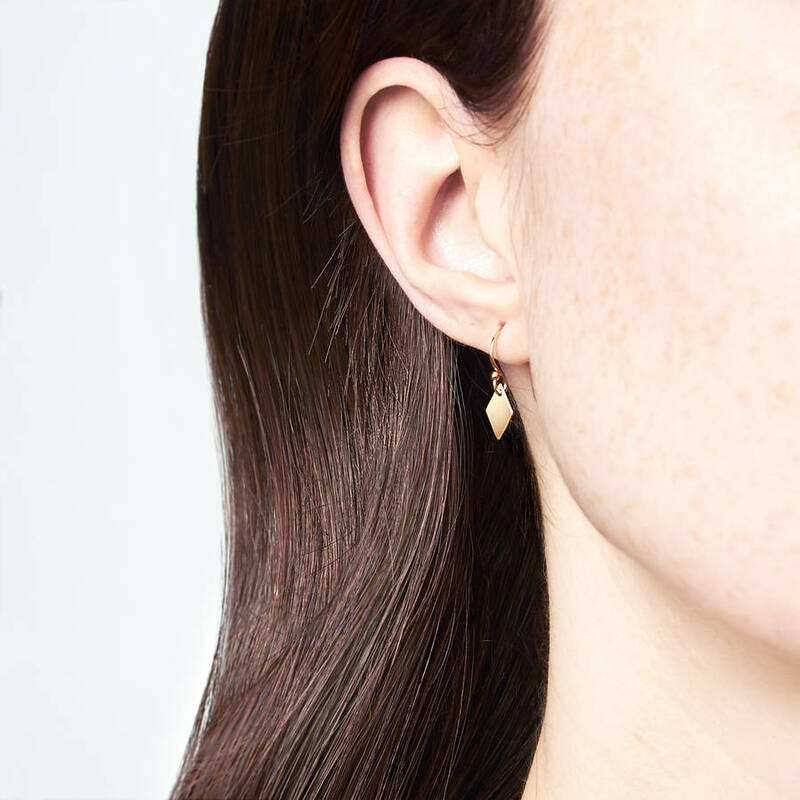 These modern little earrings add a subtle shimmer to any outfit. 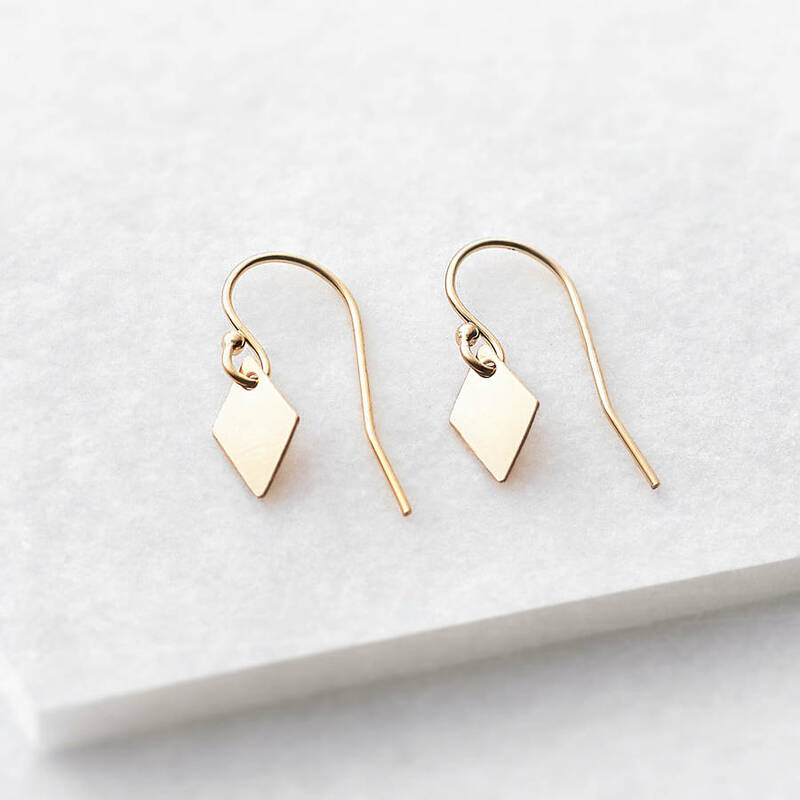 These sweet geometric earrings are available in 14k gold fill and sterling silver. 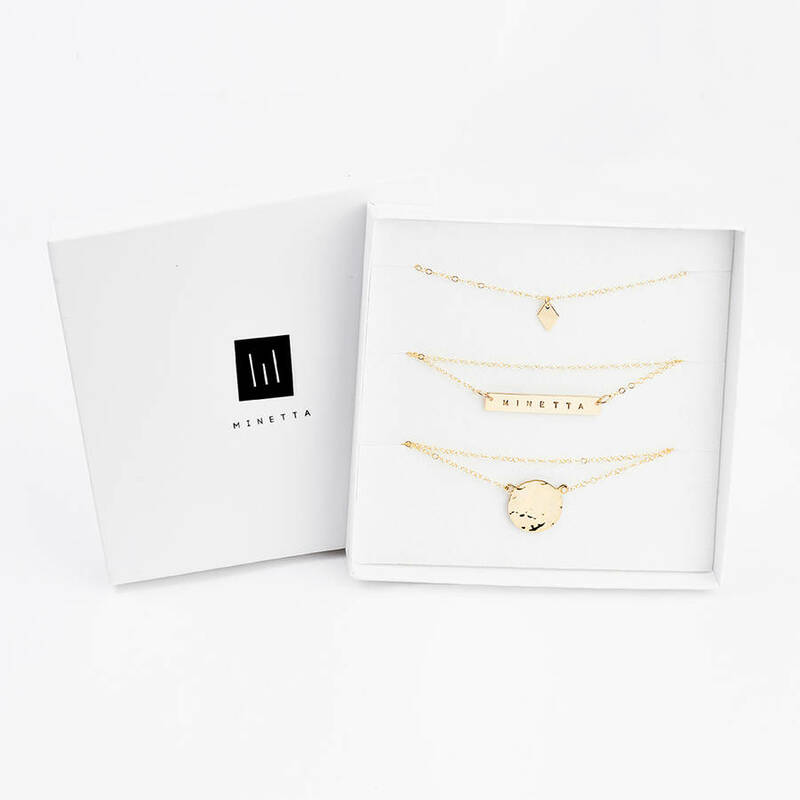 All components are 14k gold fill or sterling silver.